Have you ever noticed that your posture changes according to how you are feeling? When you are depressed, your shoulders slump, your head hangs low. When you are happy, you walk tall. How you feel affects your whole body. This includes the feet. You can imagine the impact that your body posture will have on the feet. It works both ways, the feet have a massive impact on the rest of your body too. There are reflex areas in the feet, face and hands which a reflexologist uses to help the rest of the body rebalance, and relax. Many people think that reflexology is just a nice foot massage. They don't realize that through working these reflex points on the feet, we are able to assist the body in its healing. Studies have shown the powerful effect of touch on measurably reducing cortisol levels which is why this treatment is so fantastic for lowering stress states. For information on references to scientific research relating to Reflexology, see the menu on the right. Jane's reflexology clients come to her for many different reasons. No two clients are the same and therefore no two treatments are the same. Jane is a specialist in Reflexology and has studied reflexology methods for use on feet, hands, face, and spine. Practicing since 1999, she regularly attends continuous professional development workshops and is pleased to announce that she is now offering Dien Chan Zone Facial Reflexology. This form of reflexology allows the receiver to have the benefits afforded by reflexology points helping elsewhere in the body to reach balance, whilst also offers the benefits of a facial, allowing the receiver to look, and feel refreshed and revitalised. Don't be fooled though. This is so much more than a beauty treatment. This treatment is working on mind, body and spirit. You will feel so much calmer, relaxed and balanced after a treatment. Jane has also trained in Emmett Technique where two points are held to trigger muscle relaxation and is very effective for muscle tension release. Where the reflexology treatment reveals muscular issues, Jane may add some Emmett Technique at the end of the treatment. For anyone who is interested in topping up their treatment by working some of the reflexes themselves, Jane will offer some reflexology techniques as homework. If you would like to organize a reflexology treatment for a friend, gift vouchers valid for twelve months are available. Where will the treatment take place? Jane currently has two clinics. They are in Scarisbrick, near Southport, and in Garstang. In Scarisbrick you will be seen at a room in her home. At the other venue you will be seen in a therapy room at Vitality, 2 Dimples Lane, Garstang. See "Contact" page to contact Jane directly, or ring 01995 600011 to book in Garstang. You will be placed in a reclining chair, covered with a light blanket and asked to remove your footwear. Treatments generally should not hurt although where the body is out of balance, the corresponding reflex point will show as tender or sharp or a "crunchy" feeling below the skin. A re-adjustment of pressure means that this reflex can be treated without causing further discomfort. There are no hard and fast rules to this. Usually four weekly treatments are enough. Some people only need one treatment to set them back on their feet. You will be the best judge. Jane recommends that if you have a specific issue then it's probably best to have weekly treatments initially, then as you feel better you can space the gaps between treatments further apart. If you are just having reflexology as a relaxation pamper treat then probably once a month is ideal. Your medical history will be taken. Then you will be placed in a reclining chair, with your trousers pushed up to the knee. So please remember to wear loose trousers. A lotion will be used to anoint the feet (although a perfume-free powder is available as an alternative if you are allergic to perfumes). A physical examination of the feet will be conducted to identify areas of the body that are in particular need of treatment. The treatment will then commence with a light but firm pressure on each of the reflexes on the feet together with relaxation techniques. Jane has several forms of reflexology she can use including feet, hands, face and spinal reflexology and will select which she deems most appropriate. If any muscular issues are found during the reflexology treatment, Jane may offer Emmett Technique to work on releasing muscle tension. How long will a reflexology treatment take? Please allow one and a quarter hours for your initial consultation to allow a detailed case history to be taken. 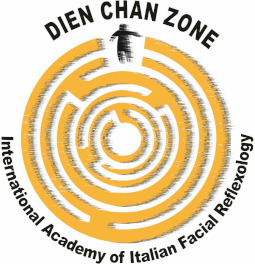 Dien Chan Zone Facial Reflexology treatments are half an hour hand's on time, but the treatment slot booked will be an hour to allow for consultation and for the receiver to have time to continue the benefits of the treatment before being asked to leave the room. Although rubber gloves can be worn, it is better to wait until the infection has cleared before a treatment as there is danger of spreading the infection to other areas of the foot. Facial or hand reflexology can always be offered as an alternative if required.